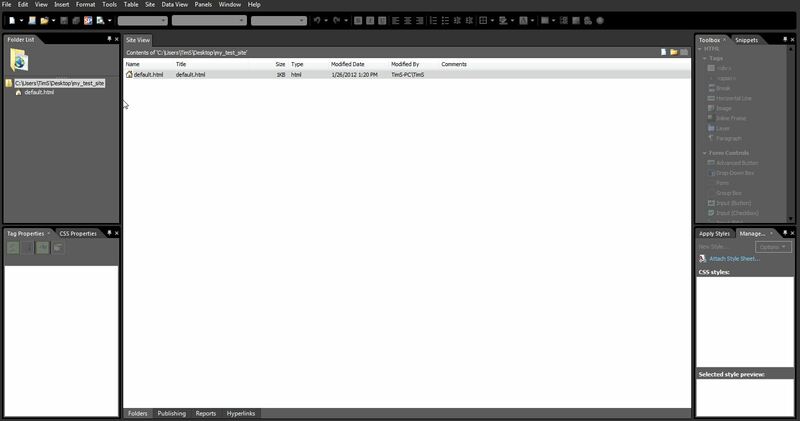 Microsoft Expressions Web 4 is a program that can help you build a website. You must have Expressions Web 4 installed on your local computer to use it. If you are unfamiliar with Expressions Web 4 please see the Microsoft website for details. You’ve now published your website using Microsoft Expressions Web 4. If you are looking to keep everything neat I would suggest downloading a copy of your website to your local machine and removing all of the files from the public_html as long as you do not remove other websites such as addon domain or anything. Then I would publish the website with EW4. I had this same exact thing happen to me when I was with another hosting company after they switched servers. After about two months dealing with them I switched to inmotion and reuploaded my website and have not had this issue since. I am no longer able to publish using Web Expression 4 to my websites. When I click on the “connect to the currant publishing destination”, there is a Microsoft error that pops up that reads “The folder htdocs does not exist on the remote web location. Would you like a folder created at this location?” When I click yes, another Microsoft error message pops up that says “Cannot create folder htdocs”. I called tech support, and they said if they assign a tech to help me, I must pay 499.00. I cannot afford that, so the lady at Microsoft suggested I post to forums. I am at a total loss on what I can do to fix this problem, I would like to add that I have 2 seperate computers at 2 different locations, and BOTH have the web Expression 4 loaded on them, and BOTH are giving me the same exact error. I purchased this web Expression 4 direct from the online Microsoft Store July 25th 2010. I beleive someone from Microsoft (or a 5 year time released program) has shut my publishing ability down so I will be forced to purchase new product(s) from Micorsoft. What are your thoughts on this? Thanks for your help. Where in your settings do you specify htdocs? Are you on one of our servers? Our default folder for hosting accounts is public_html and not htdocs. You can always create folders via the cPanel or SSH or FTP if needed. I am not quite certain where you are attempting to publish. I assume the support you called was Microsoft support because we would not charge 499.00 for helping with settings on a hosting account. I also lost access to my site when you turned off front page extensions (the first question I asked before I signed up with inmotionhosting). I tried Expressions 4 but it will not connect to my site. In the remote site editing options I chose 'Edit live site now' because I just want to connect and update my pages. Expression says "There is no site named xxxx". I tried connecting with FrontPage via ftp. It wants to connect but it also wants to download my entire site locally, which I don't want. What can I do to update my site (live) since you turned off Front Page extensions? 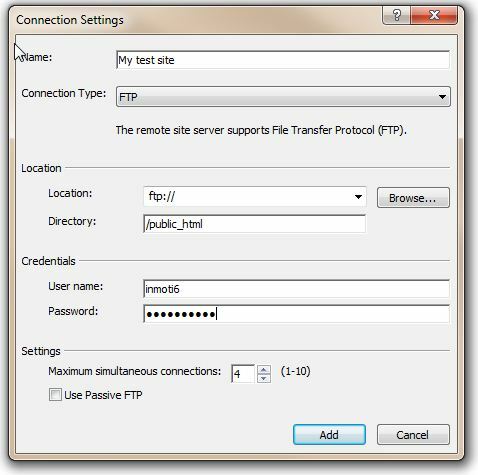 You can always use a third party FTP client such as FileZilla to upload files to your hosting account. There have been big problems since Microsoft Front Page was retired, thus for eleven years when I wanted to edit my site it went like this..Click 1: Open website in Internet Explorer.Click 2: "Edit with Front Page. "Carry out necessary edits..Click 3: Save .. all done there is no more!Can I use Microsoft Expressions to edit my site?? 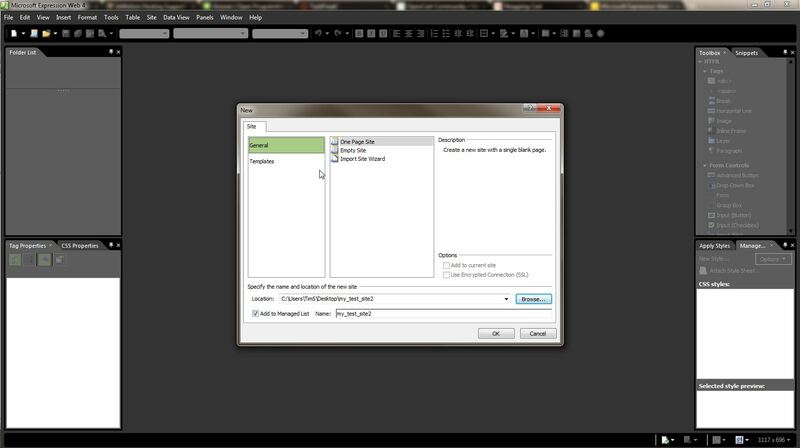 If the site was built with Expressions it can be edited, but not if it was built with another program. 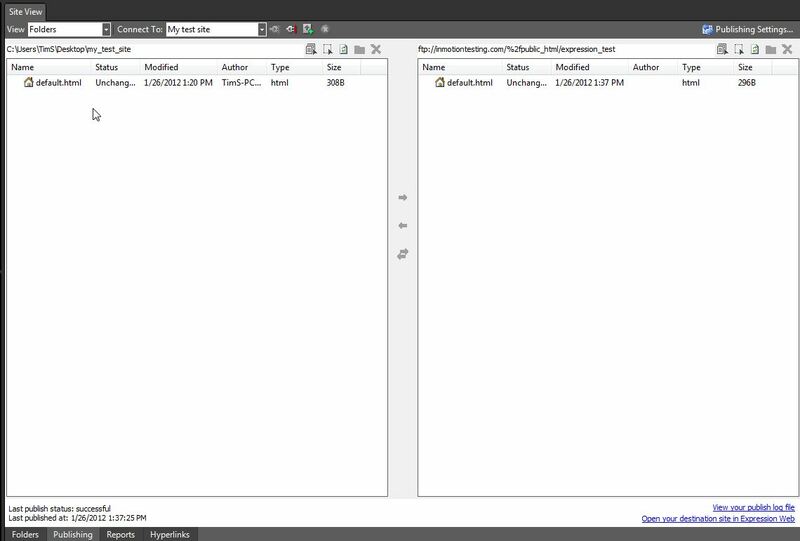 Wondering if anyone else uses Microsoft expression web 4 and if you have any problems publishing using inmotion hosting. I created my Inmotion-hosted webpage using Frontpage 2003 and I am trying to edit it but I get an error message that the folder isn't accessible. Your help is appreciated. Thank you for your question. Since Front Page extensions are no longer supported by Microsoft, you will have to publish FrontPage using FTP. This should allow you to successfully connect to the server using Frontpage. Can I use MS Expression Web 4 instead? 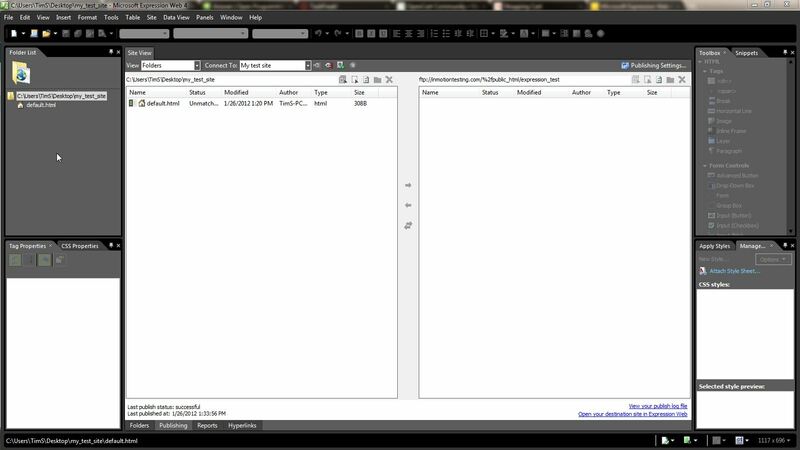 Yes, that is the program that Microsoft used to replace FrontPage. I am not sure how similar the usability and interface is, however. I got an error when trying to publish from Microsoft Expression Web 4. Unable to build data connection cannot assign requested address (425). Any suggestions? 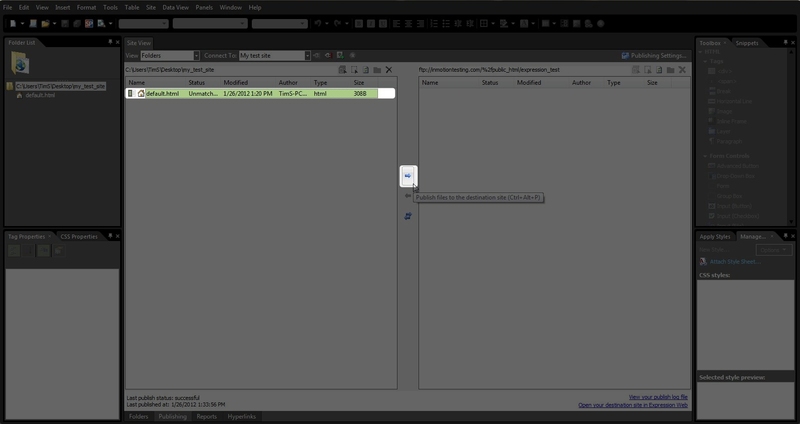 Are you using the FTP publishing option as noted in the tutorial above? If you're using FTP, we would need to know what settings you're using in order to determine what's happening. Please provide that information and we can troubleshoot the issue for you. Thanks for the help in converting from Front Page to Microsoft Expression Web 4.